You put your trust in the care of your elderly loved one at a nursing home. You anticipate that they will be kept safe and supervised. Now, you suspect that your elderly loved one may be a victim of elder care abuse. This is a devastating situation that causes the elderly to suffer, and it’s more common than you might think. The Senate Special Committee of Aging reported there are as many as 5 million victims of nursing home abuse or elder care abuse every year. If you believe someone you know is a victim of abuse, pursuing legal action against the nursing home or elder care facility can be a vital decision. 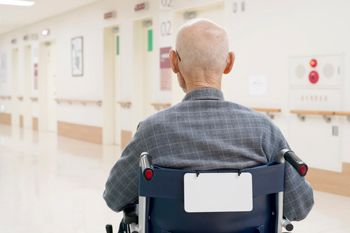 What is nursing home or elder care abuse? Other signs of elder abuse as a result of these can include inadequate medical care, malnutrition, dehydration, preventable accidents and poor sanitation. Elderly people may have physical signs such as bruises and abrasions, as well as emotional behaviors such as depression and withdrawal, that point toward nursing home abuse. What should I do if my loved one is a victim of elder care abuse? If you believe someone you know is a victim of abuse in a nursing home or elder care, the first thing to do is contact authorities. In the case of immediate danger, call 911. If the issue is ongoing, contacting a social services program such as Adult Protective Services or a Long-Term Care Ombudsman is equally as important. These programs receive reports of and investigate suspected abuse, neglect and abandonment in both the community and in nursing homes and elder care. Reporting abuse on behalf of the elderly is essential to combating the problem. When abuse is at the fault of a caregiver or nursing home facility, hiring an attorney may be the best route to receiving compensation for the damages that occurred. If you bring forth a personal injury lawsuit with an experienced personal injury lawyer, you can help protect you loved one in elder care. You may be able to challenge current power of attorney if you are a guardian, spouse, parent, descendant or heir in order to hire an attorney on behalf of the elderly. What can KBG do to help if my loved one is a victim of nursing home abuse? KBG attorneys can aid you in receiving the compensation and help your loved ones deserves for their suffering from nursing home or elder care abuse. Our knowledge and compassion sets us apart because we treat our clients with the respect and dignity you would expect from a firm with over 30 years of service in southcentral Pennsylvania.